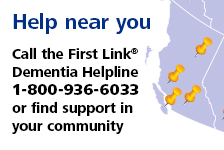 Vancouver - 2019 | Alzheimer Society of B.C. Breakfast to Remember returns to the Fairmont Waterfront Hotel on Thursday, March 7, 2019. Breakfast to Remember allows the Vancouver business community to take a leading role in building a dementia-friendly province. This event brings together business partners, staff, family members and friends to build a community of care around the estimated 70,000 British Columbians living with dementia and their families. In 2019, hear from keynote speaker Caren McSherry, founder and CEO of The Gourmet Warehouse, and guest speaker Dr. Roger Wong, Executive Associate Dean of Education in the Faculty of Medicine at UBC. Caren’s professional training began at the Cordon Bleu in London, England and continued throughout the world. In 1978 she founded Caren’s Cooking School, now one of Canada’s longest running, privately owned schools. In addition to teaching, she hosts Cooking 101 on Global BC’s Global News Morning on Sundays and appears as a weekly guest on CKNW’s Foodie Friday with Simi Sara. Caren’s love of good food inspired the innovative concept of The Gourmet Warehouse, the first store of its kind in Canada to offer gourmet specialty foods, kitchenware and supplies, together totalling more than 19,000 products. Caren, Where Magazine’s 2016 Trailblazer, was recently inducted into the BC Restaurant Hall of Fame, while The Gourmet Warehouse landed on Business in Vancouver’s list of the top 25 performing businesses in British Columbia owned by women. Dr. Roger Wong is a Clinical Professor in the Division of Geriatric Medicine in UBC’s Department of Medicine and the current Executive Associate Dean of Education in the Faculty of Medicine. Dr. Wong is also Consultant Physician of the Geriatric Consultation Program at Vancouver General Hospital. Dr. Wong works tirelessly to advance academic and clinical health sciences related to geriatrics, and his work has had a significant impact on the care for older people in Canada and beyond. His clinical research focuses on hospital medicine in vulnerable older adults, including quality improvement in acute care geriatrics. Dr. Wong has made significant contributions in showcasing Canadian geriatrics around the world, culminating in his selection as the 2017 Trevor Howell Guest Lecturer in London, an honour given to an eminent physician or scientist by the British Geriatrics Society. He is only the second Canadian to take on the role. Dr. Wong is also a TEDx speaker, whose talk has been viewed by international audiences. We hope you can join us and ensure people living with dementia are not alone by funding education, support services and research. For more information about the event, please contact Special Events Officer Glen Mountfield at 604-742-4948 or gmountfield@alzheimerbc.org. Thank you to all of our 2019 Breakfast to Remember event sponsors.